National Football League icon and former Cleveland Browns and Baltimore Ravens owner Art Modell (1925-2012) was buried on Tuesday with all the honors and accolades due to a man of his great stature and reputation in the NFL. Modell purchased the Cleveland Browns in 1961 for $4 million, a lot of money at the time, and for over 50 years he was one of the most respected and influential names in professional football. Mr. Modell served on the NFL broadcast committee for 31 years and he was a big part of every big initiative taken during his tenure including the launching of Monday Night Football. 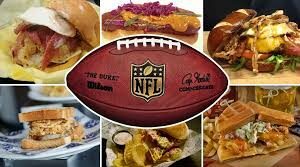 He also served on the NFL-AFL merger committee and helped to negotiate the NFL’s first collective bargaining agreement as the chairman of the owners’ labor committee. Modell won an NFL championship with the Browns in 1964, over the then Baltimore Colts. The roster for the Browns included NFL Hall of Famer’s Jim Brown, Lou Groza and Paul Warfield. Cleveland teams later appeared in the 1965, 1968 and 1969 title games. The Browns also reached the AFC championship in the 1986, 1987 and 1989 seasons but fell just short each time. 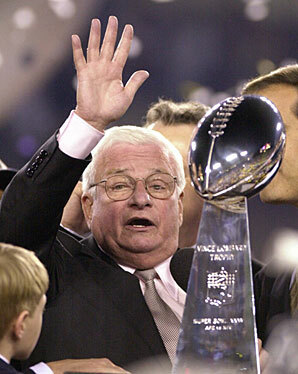 However, Art Modell was the subject of much controversy and concern in 1995 when he moved his franchise to Baltimore to become the Ravens. Fans in Cleveland felt betrayed by the move but those in Baltimore were happy to have an NFL team again after losing the Colts to Indianapolis. The funeral was attended by NFL personalities, present and past, including NFL Commissioner Roger Goodell and Dallas Cowboys owner Jerry Jones. Football greats Ray Lewis, Ray Rice, Joe Flacco, and Torrey Smith were among current Ravens players who attended the funeral. Art Modell had a unique sense of humor, an admirable knack for generosity and a vision that expanded beyond our wildest dreams. “He loved the game,” his son John Modell said. “He loved the men who played the game. He loved football.” He just played a big role in the NFL, and the NFL is going to miss him.